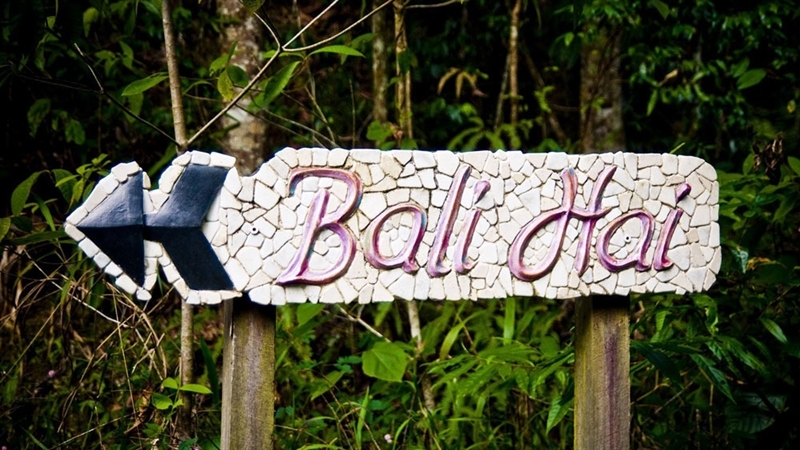 If you yearn for a luxurious Bali-style break, look no further than Bali Hai in the magnificent Mossman Valley. 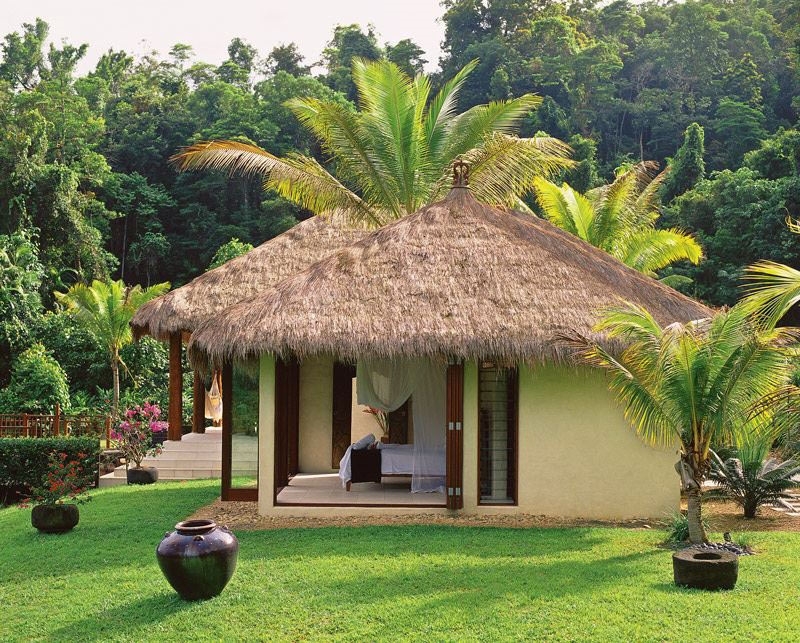 Just a short drive from Port Douglas, this thoughtfully designed retreat offers a blissful getaway among tranquil rainforest surrounds. 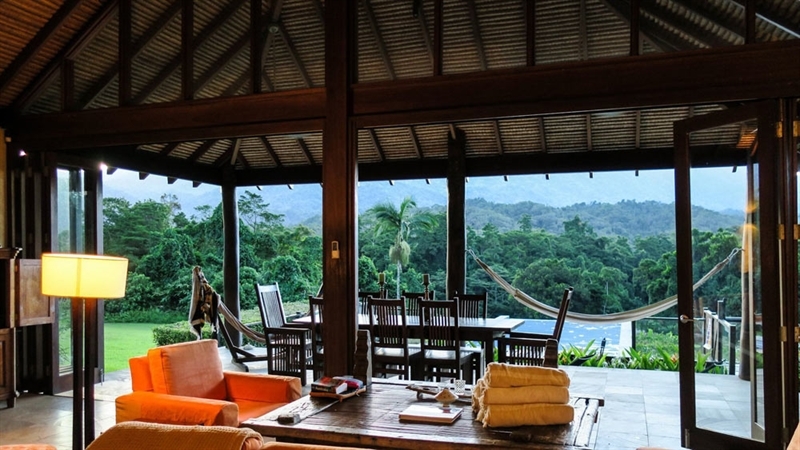 Life here is about defining luxury from the stunning wet edge pool to looking out to the Daintree Mountains, with not a soul to break your peace and privacy amidst the 80 acres that are solely yours. 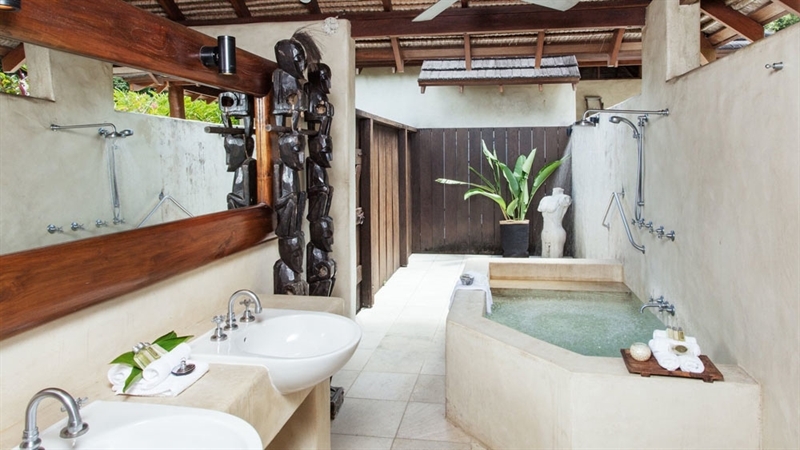 Sleeping up to eight guests, this unique accommodation offers three ensuite bedrooms in separate thatched bures, along with all mod cons including sunken baths, a state-of-the-art kitchen and entertainment system. Day excursions can be arranged if you wish to explore the region, or stay in and spoil yourself with a range of indulgent spa treatments. 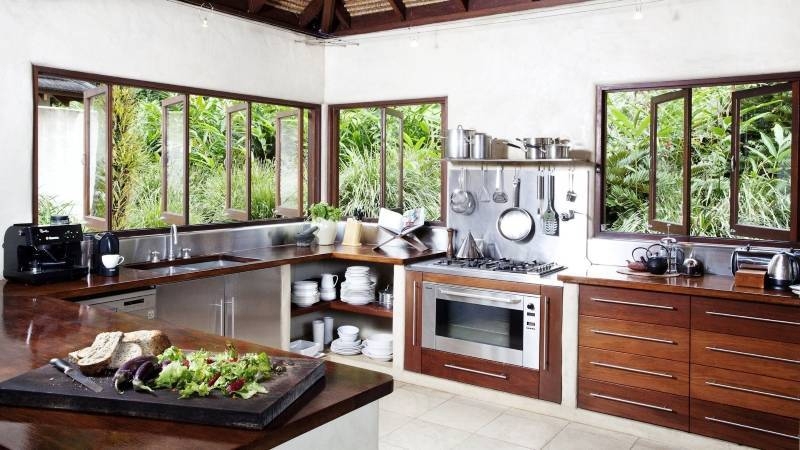 So private its address is 'somewhere in the rainforest', Bali Hai is the ultimate in tropical living. 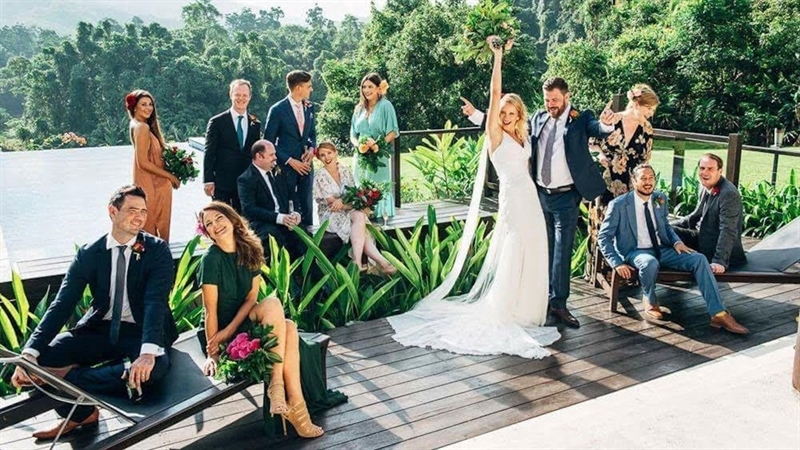 Located just out of Cairns, this slice of heaven in Mossman Valley can be yours - so turn off your mobile, divert your emails and forget everything so you can fully indulge in your Bali bliss. 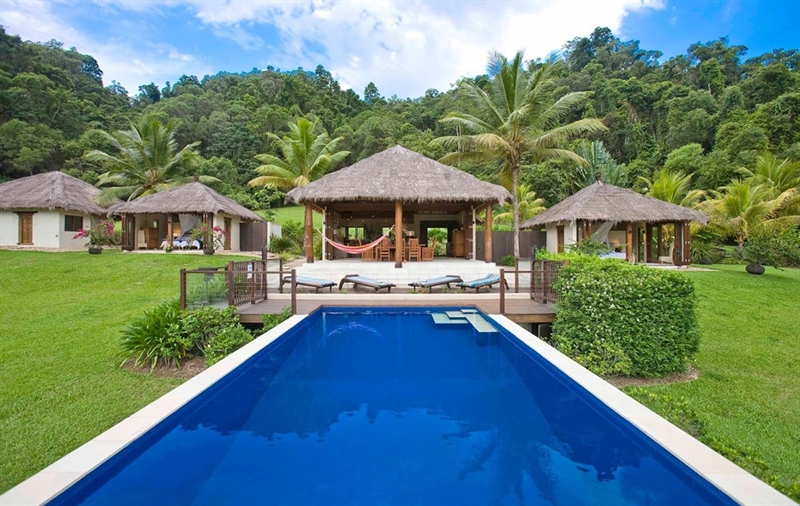 Sitting on 80 acres of paradise, Bali Hai is an idyllic hideaway and retreat where every room offers majestic Daintree Mountain views. Whether you choose to holiday and relax with friends, honeymoon or have a family getaway, the separate thatched bures accommodate up to 8 guests in three bedrooms. 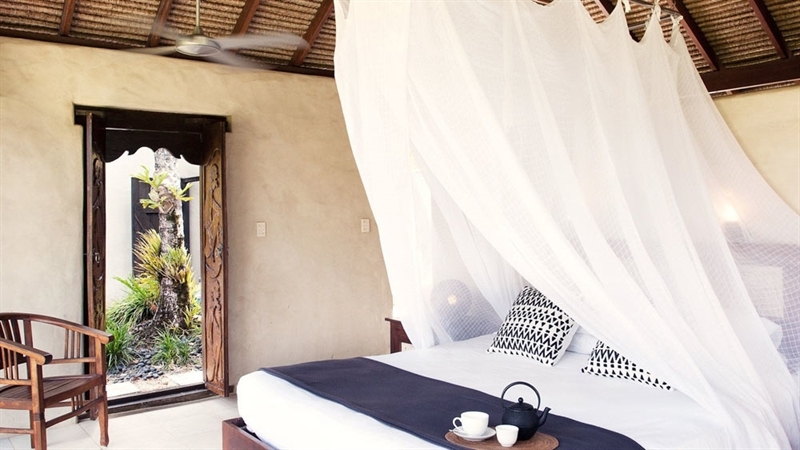 Bali Hai offers all the mod cons essential for a tropical holiday in paradise. 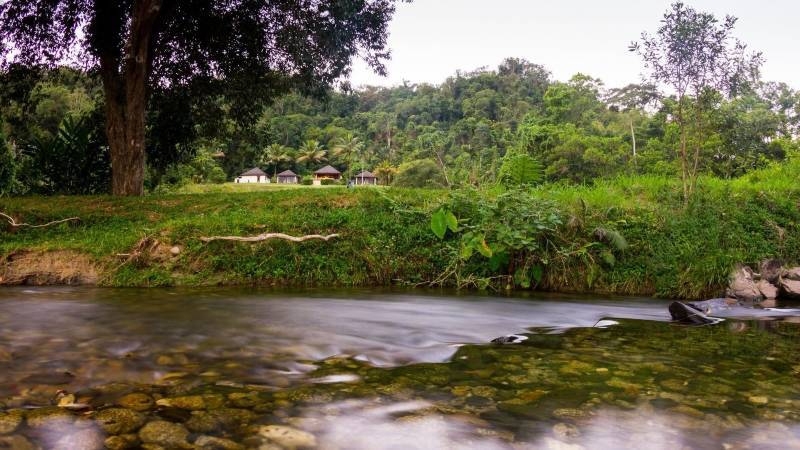 From the stunning wet edge pool and sunken baths to the swimming holes and rapids in the pristine river, water is a key element in the beautiful landscape of this property. 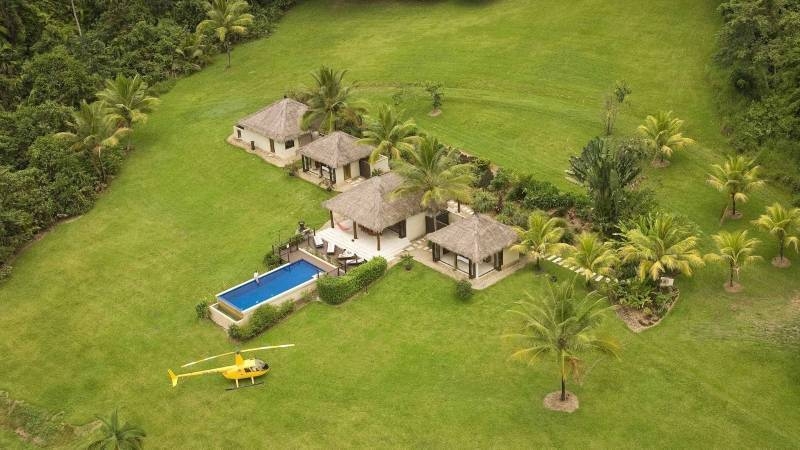 The river and natural springs flow through the property to calm the soul. 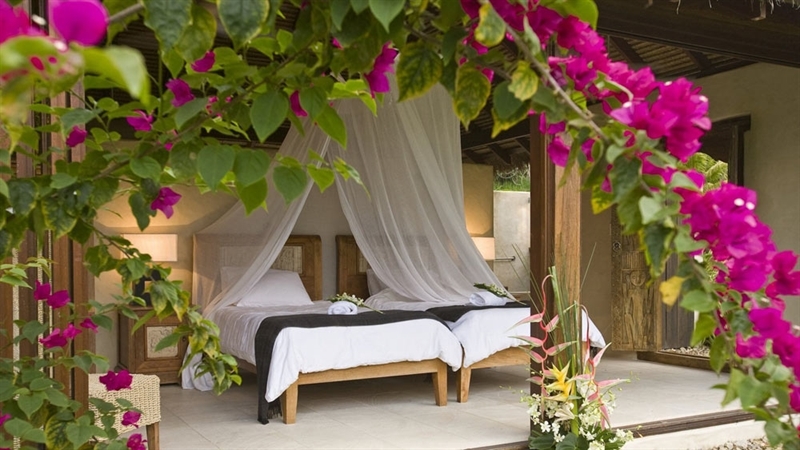 Here, your senses are stimulated, luxury surrounds you and time stands still. We offer a personal meet and greet service upon your arrival at the Bali Hai, subject to arrival times. Chilled boutique wine, exotic fruit basket and tropical flowers welcome you. L'Occitane amenities are provided for your enjoyment. Lay by the amazing infinity pool looking up into the Daintree Mountains while you enjoy a relaxing foot soak, full body massage, desert salt exfoliation and warmed mud body wrap. Your mind drifts away while your scalp is massaged before being led to your bath to soak and wash away any remaining tension. Complete the experience with a nurturing facial combined with a foot and hand treatment. Revive your senses with the sounds and fragrances of the tropics and make this wonderfully indulging spa treatment a part of your breathtaking holiday experience. We are happy to tailor personalised spa packages for your stay at Bali Hai. 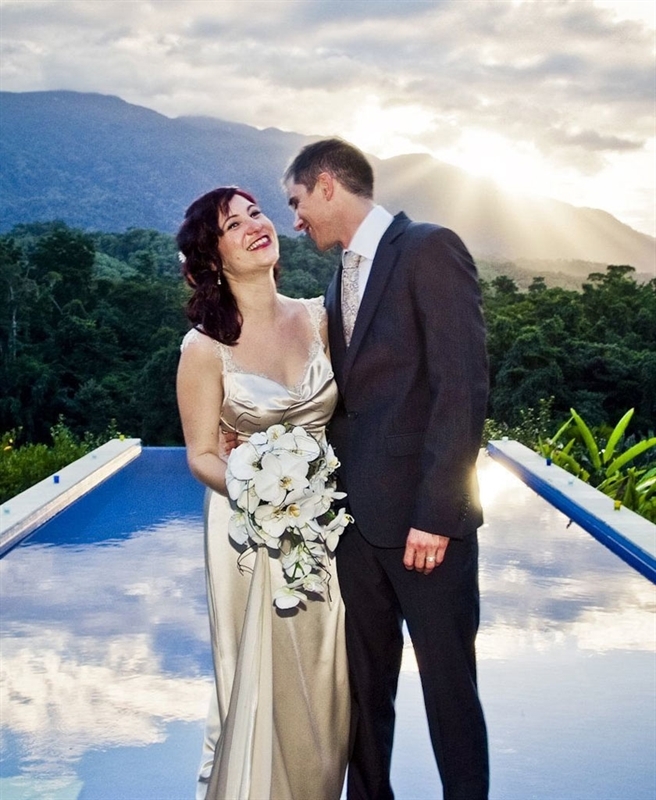 Dreaming of an unforgettable location for your wedding? This sounds like a fabulous establishment! Looking forward to having a break here... I have not been but it looks so beautiful!